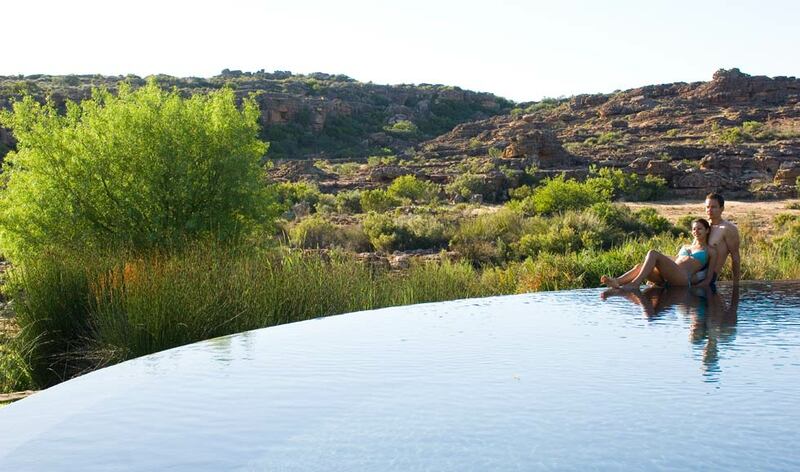 Our very favorite A-#1 travel blogger posted about infinity pools at Bushman’s Kloof Resort, South Africa today. Turns out Geraldine shares our confusion about the mis-use of “infinity” when it comes to a pool with a very clear start and end point. Her awesome info-graphic sums it up quite nicely. Though if you asked my son he would tell you that this infinity pool experience really did go on forever. No, that’s not the Everywhereist and her significant other in the overly staged photograph below. Her photos are much more realistic and fun. Check out the piece (and the rest of her very entertaining and endearing blog) for some hotel swimming pool humor. 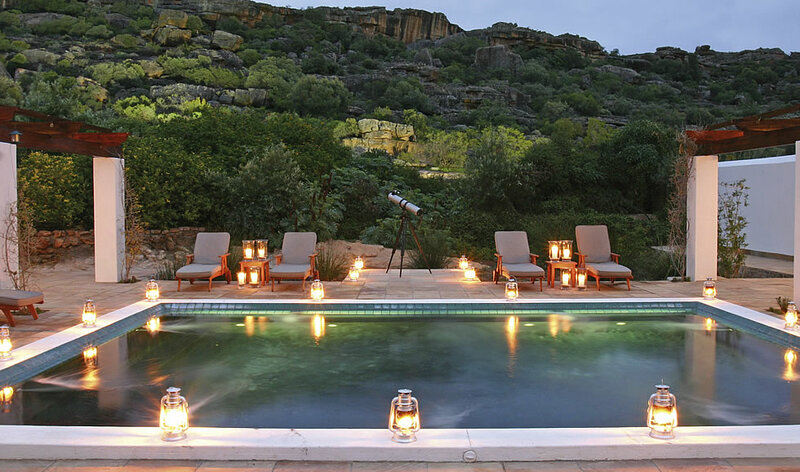 And, as hotels and pools go, Bushman’s Kloof looks like a pretty sweet spot if you happen to be in South Africa, or are planning a trip somewhere expensive, beautiful and remote. Besides the three infinity pools, there’s a nice looking pool at the spa, and even private infinity pools to be had, for the right price. That’s the kind of luxury we wish went on forever.